As I work in an industry where I am face to face with customers for a minimum of 6 hours a day I like to keep my make up subtle yet still looking like I've made somewhat of an effort. My base make up is fairly simple, I start off with my Maybelline FIT me foundation in the shade 210 which I absolutely adore - applied with either the Real Techniques Expert face Brush, or the Real Techniques Stippling Brush. I then add a bit of the Collection Last Perfection concealer in the shade Light - I'm sure you've heard every beauty blogger rave about this product but it really is up there with one of my most essential make up products!! Finished off with my NYC Translucent Pressed powder using the Real Techniques Powder Brush, and a quick dab of the amazing Benefit High Beam highlighter - my most recommended Benefit product. I keep my eye make up minimal on working days, sticking with Max Factors 2000 Calorie mascara and the famously cheap and cheerful Rimmel eyebrow Pencil. As for the lips I always apply some sort of lip balm. On my dads last trip the America he came home with EVERY flavour EOS lip balm which was a bit crazy but means I'll have baby soft lips until I'm in my 30's!! 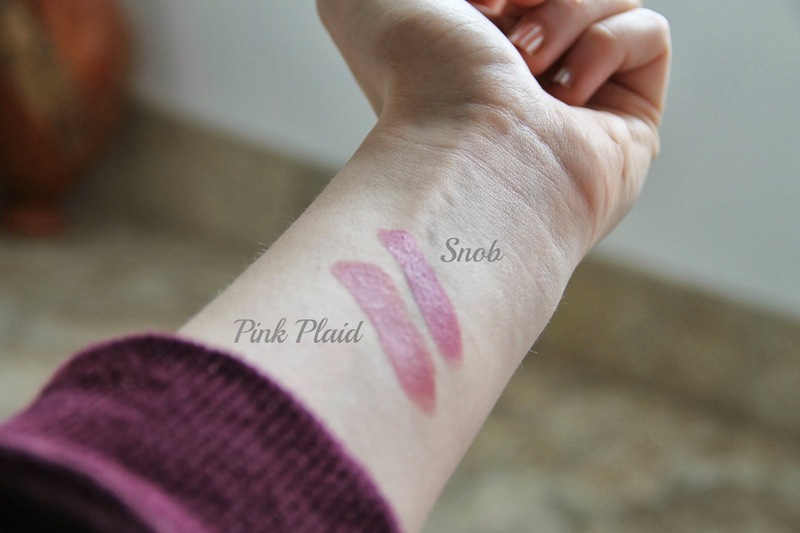 My go to lipsticks on a day to day basis are MAC's Pink Plaid or Snob. Both gorgeous shades of pink that compliment any skin tone for any time of year. If you'd be interested in seeing how my make up looks using these products leave me a comment or follow me on Instagram @styleaked for more pictures.